Downloading the database through Public Wifi (Ex. Hotel, Library, Restaurant). 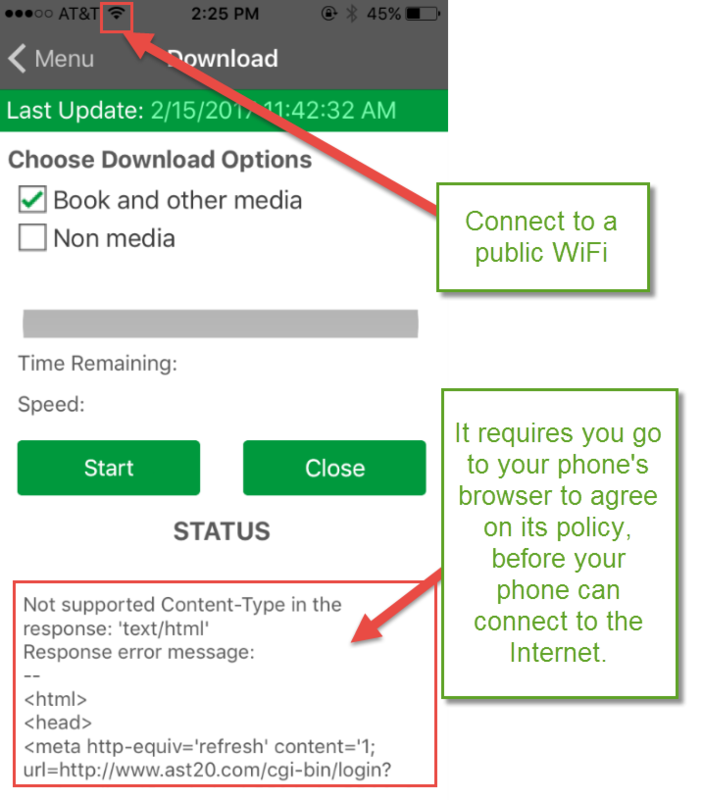 After you connect to the Public WiFi, you need to use your phone’s browser to go to any webpage like www.google.com. Sometimes, it will navigate to the WiFi provider’s website to ask you to accept its terms. Please make sure you agree and continue. If you have access to any webpage like www.google.com, then your phone is connected to the Internet. You can continue to the FBAScan’s download screen to download database. “NameResolutionFailure” – This message means the app can’t resolve the DNS domain name it is connected to. In most cases, this is either caused weak internet connection or a restriction placed by the network’s administrator.